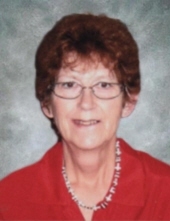 Gaila “Gail” Marie Barke, 63, of Waterville died unexpectedly on March 23, 2019 at Mayo Health System, St. Mary’s Campus, Rochester. Gail was born on September 8th, 1955 in Mankato, MN to Edward and Maurine (Barrett) Campbell. She attended Waterville-Elysian High School where she met her husband, Fredrick Barke, whom she married on April 3rd, 1972 in Watertown, SD. Gail was a dedicated mother and homemaker first and foremost. During her life she also worked as a PCA/HHA, Head Start teacher, teen counselor and owned a dog grooming business. Gail loved learning (and instilled this value in her children) and continued her education at Mankato State in between other life responsibilities. Before her death, she was making plans to return to MSU to finish up her last credits to get her Liberal Arts degree. Gail loved all animals, but especially dogs and birds, which she raised or rescued throughout her life. Her children and close friends remember her as someone who found the good in everyone and who would seek out those who were alone or going through difficult times and offer them support, hope, food or whatever else she had to give. She treasured her children and grandchildren and embraced every moment caring or supporting them. Gail was their #1 fan and instilled in them the belief that they could achieve anything in their lives. In recent years she took pleasure in attending her grandchildren’s baseball games and dance recitals and growing her small craft business. Gail is survived by her husband of nearly 47 years, Fredrick; a daughter, MyLinda (Neal) Anderson; two sons, Jim (Cindy) Barke and Schuyler Barke; two grandchildren, Kaitlyn and Evan and grand dogs Ace and Lassie. She was preceded in death by her parents and brothers, Dale and Dean. Family, friends, and others whose lives Gail touched are invited to the Boldt Funeral Home, Faribault for a Memorial Service at 10:30 a.m. on Saturday, April 13th, 2019. Memorial visitation will be one hour prior to the service on Saturday. "Email Address" would like to share the life celebration of Gail M. Barke. Click on the "link" to go to share a favorite memory or leave a condolence message for the family.